You may or may not have noticed that MicroAdventure is no longer the title for my adventure series. I found it too constricting for what I wanted to achieve. It pigeon holed my idea of adventure to being outdoors and camping in the wilderness. 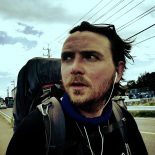 Which don’t get me wrong, is some of the things I have done and will continue to do, but now I am able to post more broadly on other events and adventures I do that aren’t particularly about standard adventure travel, which you will get a sense of in this new post. The name of the series will now be ‘Weekend Adventures!’ And I will be your Weekend Adventurer, informing you on all the cool stuff that can be done in amazing Victoria. Saturday! How good are Saturdays? The first day of the weekend, everything in a Saturday just feels more colourful, more vibrant. I woke up to find my dogs poop on the floor, even that smelt a little better than on a normal, average, gloomy weekday. There was no time to clean it up, it would need to linger as I had a schedule to keep, today was OzComicCon day, and I was running late! 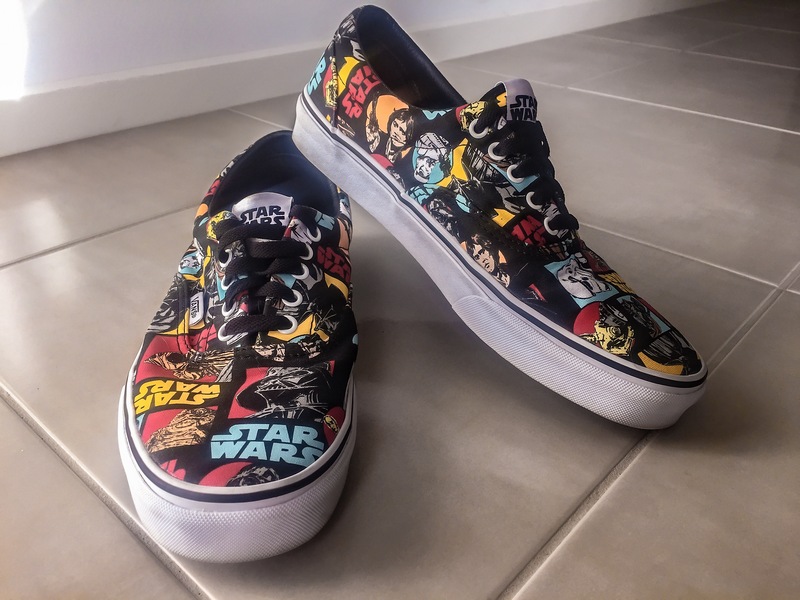 I found my special ComicCon shoes, well they aren’t really just for ComicCon but if I wore them all the time people would get super jealous of them. OzComicCon was situated in the Melbourne Convention and Exhibition centre. Right in the heart of the city. You can not miss it, it has a great big half constructed bridge looking thing poking out of it. When I was younger I was always waiting for them to finish, until someone pointed out that it was art and I am indeed a buffoon. So anyway, into ComicCon I went. The first thing I see is a Minion. Full size and waddling about trying to climb up onto the Iron Throne. It looked awesome, so I lined up and scored a photo on it. The amount of people CosPlaying it up was great. The amount of Batman’s and Spiderman’s were enough to to make you feel safe from an attack, whichever comic book universe you fancy. Newcomers to the scene was Orange is the new black, which isn’t that difficult, all you need is an orange jumpsuit and some crazy eyes! So basically the day was spent walking around, looking at awesome stuff. I almost paid an exorbitant amount for a rubber replica of Longclaw (Jon Snow’s sword from Game of Thrones for those not in the know) and I was close to purchasing an awesome dwarf axe! It was a fun day and walking around the exhibition centre was almost as tiring as hiking for a day. If I were to sum up the OzComicCon day into a picture this would be it. My childhood in a Halfshell. 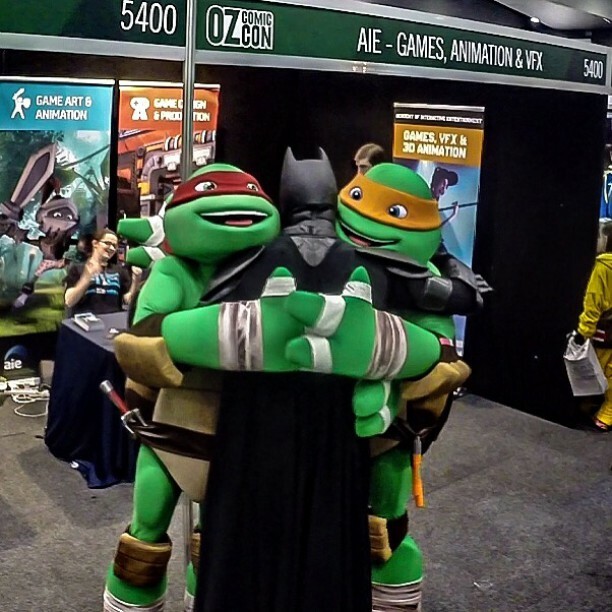 Batman, Raf and Mikey hugging it out. Sunday, now Sunday’s are generally a day of relaxation and recuperation. It’s the final day of the weekend, the looming cloud that is Monday starts to appear in the distance and the dark shadow it casts drains the enthusiasm out of everything, but not this day. This Sunday had a Saturday feel to it, it was as bright and invigorating as the day before, maybe even more so. Why was this you ask? I had arranged to have a long weekend. I understand that your jealousy right now is telling you to stop reading and go do something else but really stay with me and enjoy the story. My mother, brother, sister and myself headed out into the country. To one of the great road journeys in the world. 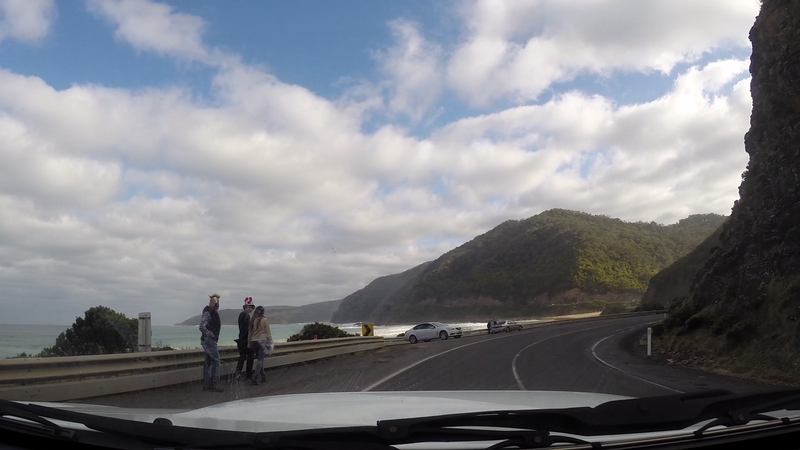 We headed to the Great Ocean Road. A road that spans 243 kilometers beginning at Torquay and ending in Allansford. Well beginning in Torquay for us, but it wasn’t the road we were there to see, that is for another day. We were there for the Great Otway National Park. The plan, to walk one of its tracks. Now due to all of us taking our time getting there (we got lost along the way and had to stop for lunch) we only had an hour or so to get one done before we needed to return for other commitments. Now the road is one that I have been lucky enough to travel on more than once. Having spent some time here for school and relatives living near by it was always a good road to get around on. There’s some awesome beaches and café’s along the way to absorb the view and take note. There is also some weird characters out there. Like this Horse face dude taking in the view. The track we walked wasn’t a difficult one, but had some great scenery and lots of trees and small tracks that appeared to have been around for many decades, possibly longer, I should have read the signs I know. It almost felt like walking back in time. The track would incline ever so gracefully that when you get to the top the view of the ocean blows you away, as well as the wind! The walk we had taken was a short and sweet one, but one that I enjoyed a lot due to the company I had along the way. We made it back in time for dinner at my sisters house in Ocean Grove and then I spent the next two days chilling out watching Netflix. I probably should have been writing this. Oh well, until next time! Beautiful photos! We are heading there on Friday and you have made us even more excited, thank you! I am glad you enjoyed the pics. Trust me you will love it. There’s so many things to see and do! Enjoy your trip! Torquay, at the start of the great ocean road, there’s great places to eat there to start you off. If you get to Apollo bay there’s fishing tours and mountain bike riding through the otways. I haven’t mountain biked through there since high school but it was great fun. 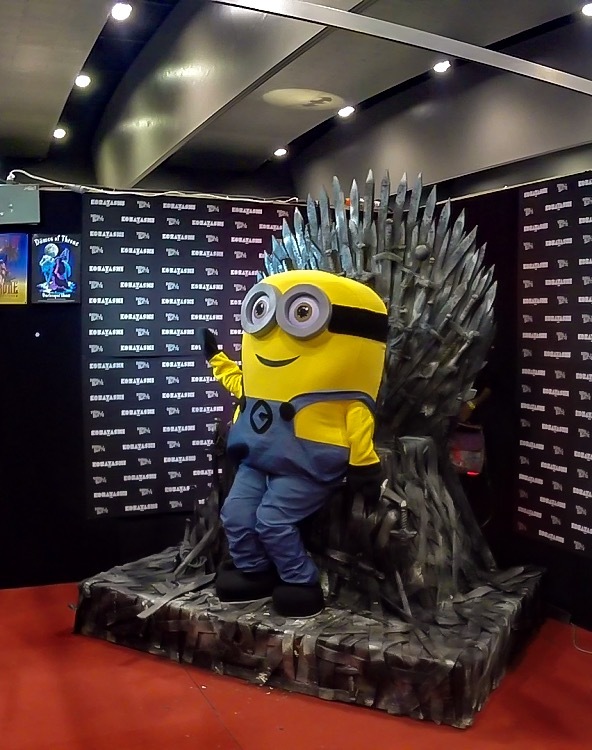 This entry was posted on August 3, 2015 by Robb Saunders in Adventure, adventuretravel, australia, Comic Con, exercise, Travel, victoria, Walking and tagged Adventure, amazing adventures, ComicCon, Driving, Game of Thrones, Great Ocean Road, minions, Nomad, OITNB, Photo, Star Wars, Travel.